What helps you to connect to God? What for you are spiritual activities? I personally enjoy birdwatching, as well as watching other nature in the wild, I find it to be a spiritual experience. personally enjoy birdwatching, as well as watching other nature in the wild, I find it to be a spiritual experience. Walking in nature with my dogs at the beach or in the mountains and making my garden are right up there. Nature and creative activity generally I’d say. I could have added taking part in a real conversation about something challenging we’re both interested in who can share both what they’re convinced of and their speculation without defensiveness or insistence … people like you Randy and you Reggie. Personally, I still find benefit from reading the Bible, meditating or praying on my own twice a day (first thing in the morning and on going to bed at night) helps me arrange my thoughts, though I don’t do a great job at always remembering. I also enjoy the Spiritual Disciplines of Dallas Willard, but haven’t fasted for a long time! I believe you and your way is your way. Happy for you that you have one. For me prayer is like waiting and listening. 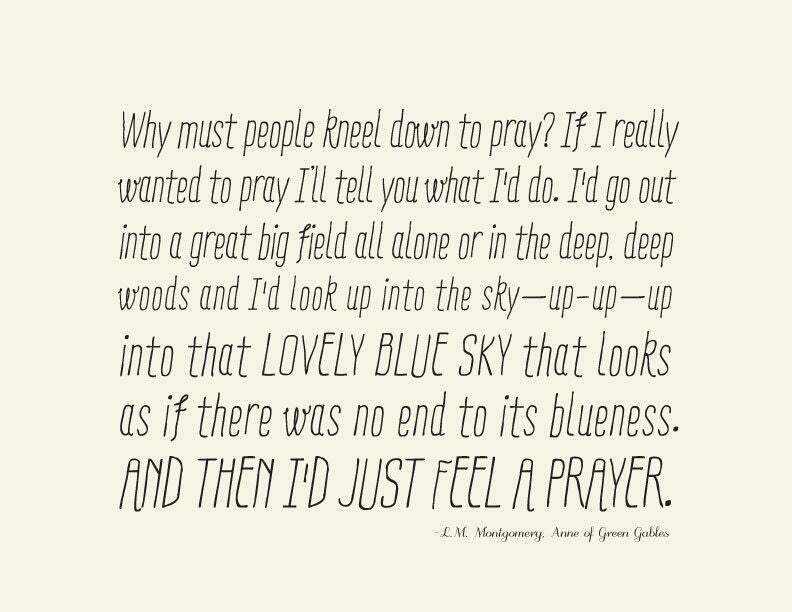 I believe that is what my prayer is becoming more like, as well. I didn’t mean that the Bible was the only way–just a way. I do believe that the search for truth is prayer, and attributable and valid to atheist and agnostic, and any other type, as well as believer. I didn’t mean that the Bible was the only way–just a way. I knew that. It is a fine way I’m sure. That “I-Thou” vs “I-It” distinction of Buber’s is the crux of it for me. Looking out on the world as something deserving of respect that can surprise me, rather than analyzing it all up as lists of stuff: I guess that is what is beyond the natural world for me, except that it isn’t really beyond the world. It very much deeply is the world when you don’t stop at the surface. Prayer and meditation seem to always help me.